Spacious and usable 1478 litre boot. Well-equipped. Easy to drive. 1.7 VCDi is smooth and quiet. Good value. Steering is vague. Petrol engines are inferior to 1.7 VCDi diesel. Kia Cee'd and Hyundai i30 offer larger load areas and better quality. 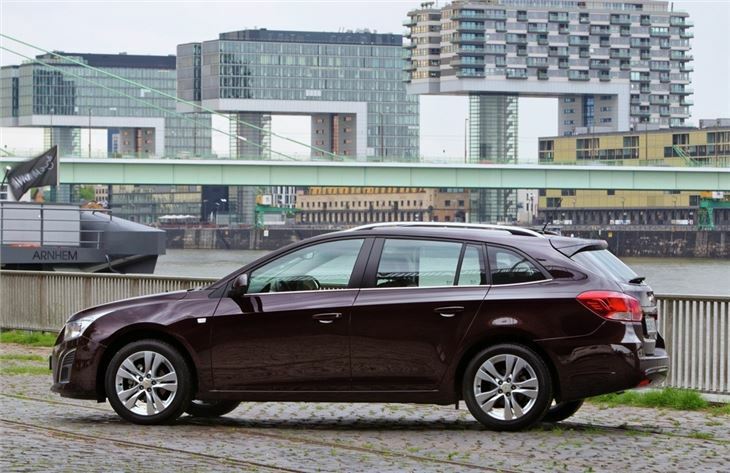 Following the introduction of the Cruze hatchback in 2011 the only missing model in the range was an estate, which is now available. 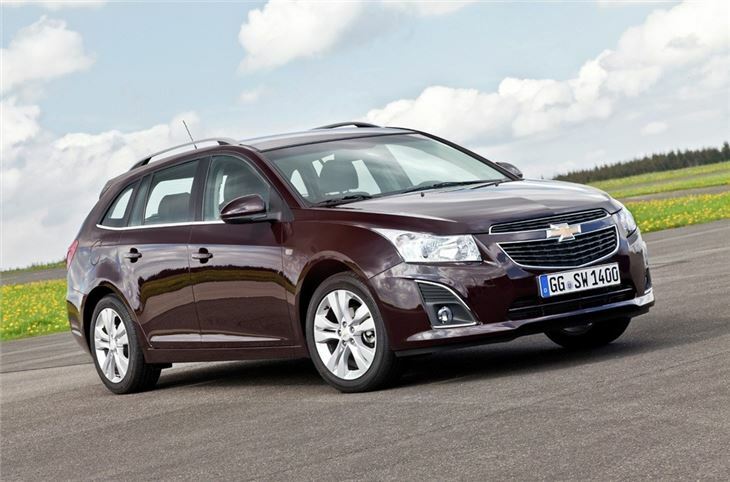 Like most manufacturers, Chevrolet has distanced itself from the traditional estate name, adapting the Cruze SW badge for its more practical model. It's certainly spacious – with the seats folded flat there’s a generous 1478 litres of boot space, accessed through a nice wide tailgate with no load lip. But while this is enough for hefty items like furniture, both the Kia Cee’d SW and Hyundai i30 Tourer offer larger load areas. There’s an adjustable and removable rear load cover and a clever shelf behind the rear seats for storing odd bits and pieces, along with a few storage bins at the sides of the boot. Plus there’s a selection of cubby holes under the floor itself - handy for hiding away valuables or carrying smaller items. The rest of the car is familiar Chevrolet Cruze. It’s solidly screwed together but lacks the soft touch materials seen in more expensive rivals. The centre console is a little bit confusing, with a lot of buttons that are hard to understand. This is made worse when sat nav is fitted – it’s quite hard to get used to. The engines are familiar too – there are 1.6-litre and 1.8-litre petrols but both feel underpowered. The 1.7-litre VCDi diesel is better with plenty of torque.